Doctors for the Environment Australia, a medical group that includes a Nobel laureate and recipients of the Australia of the Year award fears a review by the Climate Change Authority and the Australian Energy Market Commission will displace the extensive Independent Review of Dr Alan Finkel that has yet to be published. Failing to provide energy security, and dishonestly blaming the states. Being reckless in abolishing a tax on carbon. Tolerating rorting which has led to a progressive rise in electricity prices for which it has blamed renewable energy. DEA says that emissions reduction must be front and centre in any policy changes to the power supply. Says, Dr Iser, “the Turnbull Government needs to focus on how Australia- one of the world’s highest carbon emitters per head of population- can meet its obligations to contain global temperatures to below 2 Degrees Celsius as stipulated in the Paris agreement. “We must aim to stop burning coal, gas and oil, and opt for clean and healthy alternatives such as sun and wind, supported by storage and sophisticated switching. If you include the cost of greenhouse damage created by coal burning, coal-fired electricity would be priced at close to double the nominated cost. “As doctors we are troubled by the current trajectory of global warming which will threaten health in many ways. We have already seen many extreme weather events which are just a taste of things to come if we don’t take effective action. In less fortunate countries, which are least to blame, humanity is seriously struggling. 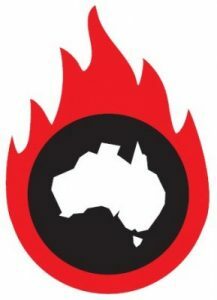 “We urge the government to first look at recommendations of the initial Review- led by Australia’s Chief Scientist Alan Finkel- and the reform measures put forward by CEO of Australian Energy Market Operator (AEMO), Audrey Zibelman.